I will be exploring the relationship between Winifred Lamb’s work as an archaeologist in the Aegean, and her role as Honorary Keeper of Greek Antiquities at the Fitzwilliam Museum, Cambridge. In the museum there are recognisable strands to her curatorial work: the display (and publication) of the Greek figure-decorated pottery, supplemented by the Ricketts and Shannon loan (and later Shannon bequest); the formation of a prehistoric gallery; the development of a collection of Greek, Etruscan and Roman bronzes; and finally material from Anatolia. The Greek pottery interest was influenced by her work with (Sir) John Beazley in Room 40 during the final stages of World War 1. In a second paper I will consider the process of writing Lamb’s biography: the archive sources including her correspondence, diaries, and photographs; her acquisitions for and gifts to the Fitzwilliam; and her publications. I will then turn to the writing of a life from an essay in Breaking Ground to the memoir in ODNB. What should be included or excluded? Where do the emphases lie? I have been reflecting on why Winifred Lamb deserved a biography. First, she pursued two parallel careers (captured in the sub-title). She was an active field-archaeologist during the inter-war period at sites that included Mycenae and Sparta, and her own excavations on Lesbos, Chios, and later at Kusura in Turkey. At the same time she was the honorary keeper of Greek antiquities at the Fitzwilliam Museum over nearly a 40 year span. Second, she was closely involved with the on-going work of the British School at Athens (and contributed to its Golden Jubilee celebrations in 1936). She was also involved with the establishment of the British Institute of Archaeology at Ankara after the Second World War. Third, she worked alongside some key figures in the discipline of archaeology. Among the names was Sir John Beazley with whom she worked in Naval Intelligence (Room 40) during the First World War. Sir Leonard Woolley introduced her to the Turkish language section of the BBC during the Second World War. Fourth, she was one of a small group of women who worked at the British School at Athens immediately after the First World War. She was also one of the first women to excavate in Turkey in the 1930s. HARN Member, David Gill, has sent us the following information about his forthcoming book. One of the caryatids from the Roman ‘lesser propylaia’ in the sanctuary of Demeter at Eleusis was obtained by E.D. Clarke and now resides in the Fitzwilliam Museum in Cambridge. It is currently part of an art installation by Hugo Dalton. Another caryatid from the ‘lesser propylaia’ is now displayed in the Eleusis Museum. Both appeared in the documentary, ‘The Sacred Way‘, by Michael Wood (1991). The lesser Propylaia was a benefaction of Appius Claudius Pulcher. 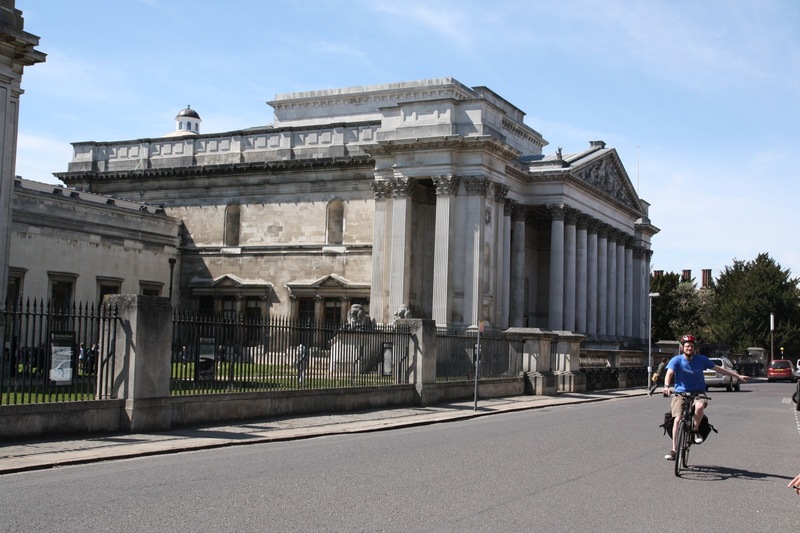 In 1816 Viscount Fitzwilliam made a spectacular bequest to the University of Cambridge and this led directly to the establishment of a museum that now bears his name (“Cambridge University’s Fitzwilliam Museum marks 200 years“, BBC News, January 2, 2016). The building that now holds the collections opened in 1848. My own interest is in the classical collections: from the sculptures donated by Dr John Disney (‘the Disney Marbles’) and E. D. Clarke; the figure-decorated pottery that once formed part of the collection of Colonel William M. Leake; the prehistoric collections derived from excavations by the British School at Athens on Crete (Palaikastro) and Melos (Phylakopi); and the bronzes brought together by Dr Winifred Lamb. Dr John Disney is best known for the creation of the eponymous chair of archaeology at the University of Cambridge, and the donation of the ‘Disney Marbles’ displayed in the Fitzwilliam Museum. 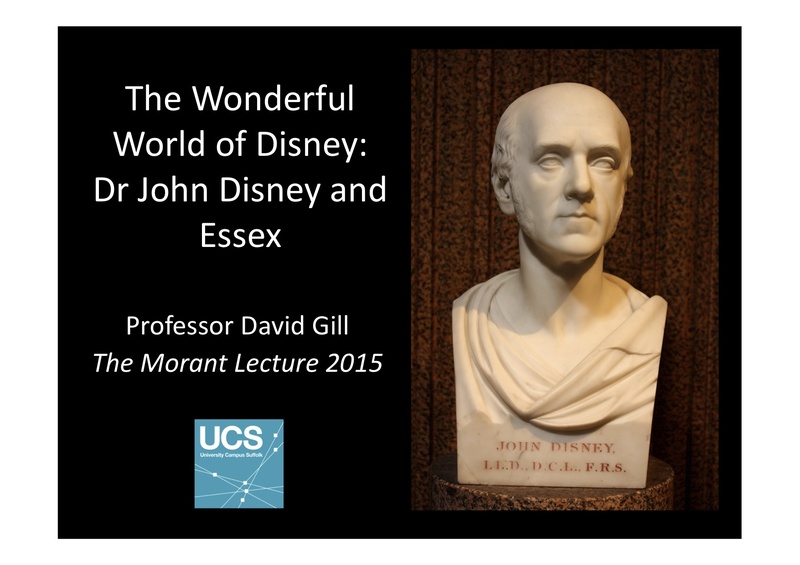 Professor David Gill gave the 2015 Morant Lecture on the theme of ‘Dr John Disney and Essex’ in Ingatestone parish church. The church contains the grave of Thomas Brand-Hollis who bequeathed The Hyde, near Inagatestone, along with its collection of classical sculptures, to Disney’s father, the Reverend John Disney. The Reverend Disney had been co-minister of the Unitarian Essex Chapel in London alongside his brother-in-law the Reverend Theophilus Lindsey. Brand-Hollis was one of the main supporters of the chapel. The Reverend Disney’s brother, Lewis Disney-Ffytche, lived at Danbury Place near Maldon. His daughter Sophia married (Dr) John Disney, and her sister Frances married (Sir) William Hillary (best known for founding the RNLI). Dr Disney was recorder of Bridport in Dorset, and on moving back to Essex after his father’s death, stood as MP for both Ipswich and Harwich. He served on the committee to bring the railway to Chelmsford and Colchester. As a member of the Chelmsford Philosophical Society he helped to establish the Chelmsford Museum. He was also a key figure in the establishment of the Colchester and Essex Archaeological Society. In later years he was a member of the board of Le Nouveau Monde Mining Company that was involved with the California gold rush. Slides for the lecture can be found here. Dr Liz Hide is leading the development of the University of Cambridge Museums consortium and the delivery of the UCM’s Major Partner Museum programme Connecting Collections. Her background is in geology and palaeontology and previous roles include Curator of Invertebrate Palaeontology at the National Museum of Scotland. In Cambridge she chairs the county-wide Cambridgeshire Museums Advisory Partnership, and is a founding member of the Cambridge Arts Leaders group. In 2012 she prepared ‘Impact and Engagement University Museums for the 21st Century’ on behalf of the University Museums Group, and is currently leading on the development of short film promoting the work of University Museums in the UK. University Museums are a diverse species. Large, multi-themed institutions such as The Manchester Museum, The Ashmolean in Oxford and The Fitzwilliam Museum in Cambridge are the main cultural providers in their region, contrasting strongly with specialist collections embedded within research departments. Their collections may form the backbone of research activity, or be sidelined to an awkward corner as research trends move on. Gallery spaces may hum with new ideas and debate, or bristle with resistance to change. In this seminar Liz will explore what it is that University Museums do, and demonstrate why, in changing times, she thinks University Museums lie at the heart of the wider museums sector. She will discuss the role they play within their parent Universities, the many impacts they have on audiences, and their potential for the future. There will also be an opportunity to share your experiences with university museums and collections – please do feel free to share them! This event is open to all UCS staff, students and visitors.